Yes, it is possible to have the best of both worlds! With efficient internet service and affordable real estate, entrepreneurs in the valley are able to do business with clients around the world. Or... start a new business here. 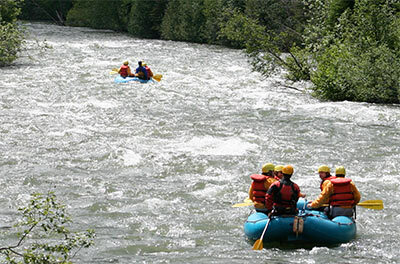 You can take advantage of the natural environment and turn your favorite outdoor activity into a profitable business. There is plenty of room to develop tourism product in the areas of heli-skiing, ATV/snowmobiling, camping, agritourism, hiking and cycling, arts and culture, and events and festivals. This also opens the door for small specialty retail or service based business opportunities. The majestic Fraser River and a few local lakes offer a perfect opportunity to promote river boating, fishing, rafting, kayaking and canoeing.